Welcome! 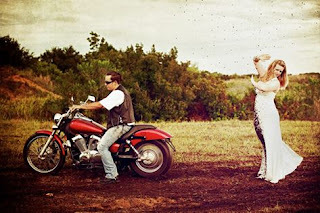 We are very glad to see you @ Harley Davidson Dating Site. We focus on helping Harley singles and other motorcycle riders connect together. Welcome to Harley Davidson Dating Club! HarleyDavidsonDating.com is launched for single Harley riders to meet up for love and more. Members in this online club can share their riding experiences and passion with other riders, discuss Harley culture and motorcycle riding lifestyle in the Harley forum and blogs. "Certified Harley Riders" feature allow all Harley Davidson riders and other type of motorcycle riders to verify their profile, photo and age. This special service give other users a sense of security, since they can see real and true Harley men or women who has verified their profile. It is FREE to join the customized biker dating site for Harley Davidson motorcycle riders and single women.